Myself Gaurav. 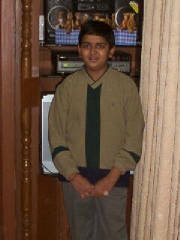 I am 15 years old and I am a student in Delhi Public School. I am a resident of Bhopal. I am interested in Computers. My hobbies are Computers and reading. I want myself to be on top of the world. I wanna make lots of new inventions.